While coming up with original Paleo/Whole30 approved dishes is one of my favorite things to do~ there's always going to be something extra exciting about Paleo-fying a non-Paleo food. & The first thing that comes to mind when I think absolutely not Paleo? Bread. My mom used to make the most amazing bread in the bread maker when I was growing up. She's known for always adding "extra" ingredients to recipes she'd find... like yogurt to the waffle mix, oats to the meatloaf, and spices & cheese to the bread. The recipes always turned out different, but so tasty, and you knew it was Mom who made it. 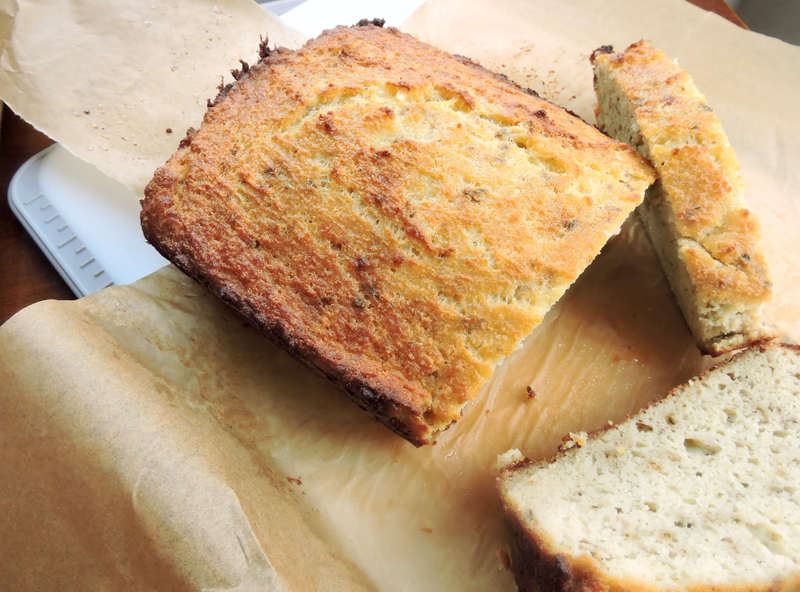 This recipe was inspired by that cheesy, herby, garlicky bread-- but without the cheese. 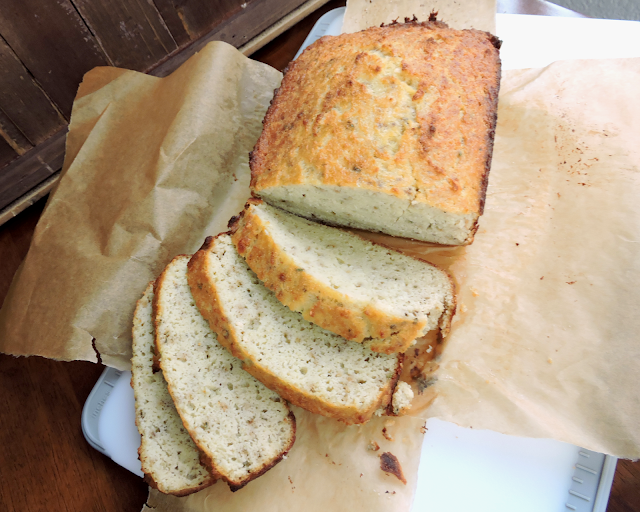 It somehow takes on those same flavors, while keeping the perfect "bread" texture. Not too spongy, not too dense. 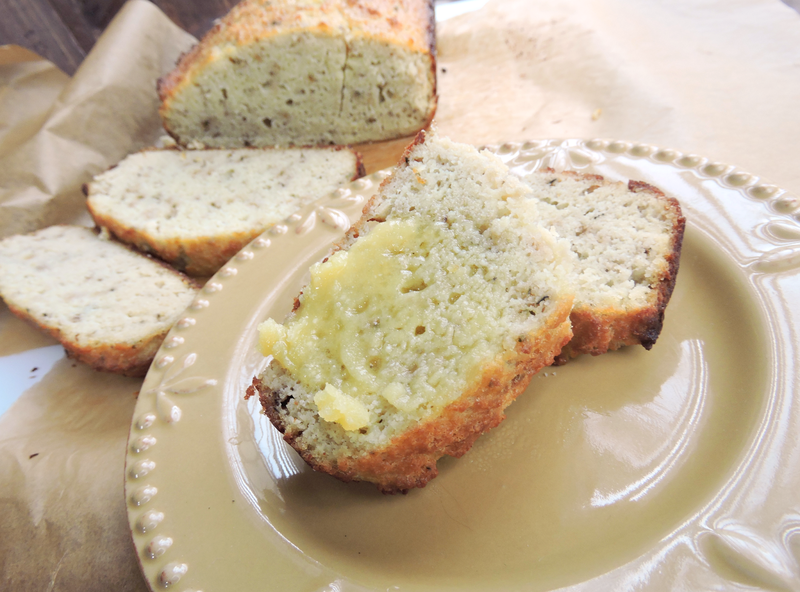 Just Paleo-fied bread magic! 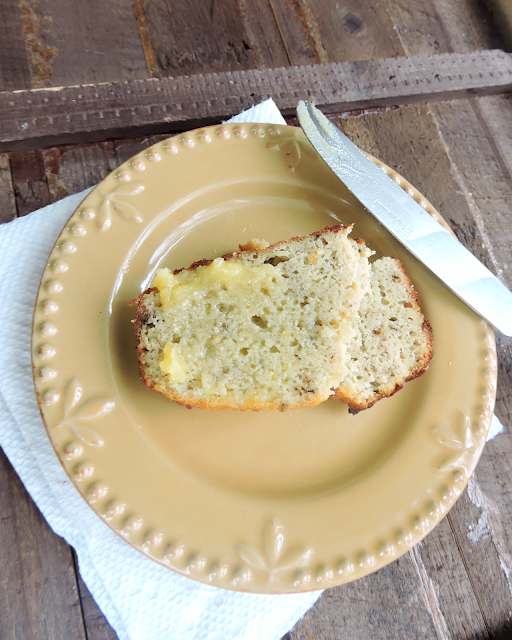 I was inspired by a recipe for Orange Cranberry Bread from Virginia is for Hunter Gatherers. I used her ratio of eggs to butter to coconut flour, and came up with my own savory version with those garlicky herb flavors I knew I would love. Use this for an open face "sandwich", spread it with some ghee, or dip it in your favorite chilis & soups. I personally think it would be the perfect dipper for my Simplified Seafood Stew (Cioppino). Preheat the oven to 375ºF. 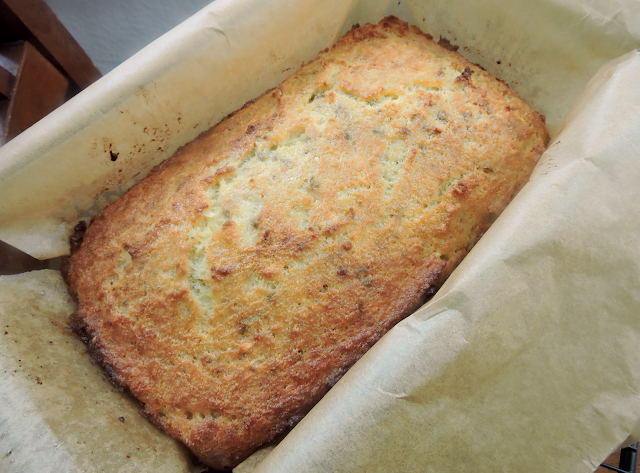 Line a 9 x 5" loaf pan with parchment paper for easy removal from the pan, if you're like me & have sticking anxiety. Brush the parchment paper with melted butter for an extra non-stick step. In a mixing bowl, whisk the eggs. Add the remaining ingredients, mixing until smooth. Pour the bread "dough" or batter into the lined baking pan and smooth over the top. Bake for 40-45 minutes or until the bread is light golden brown on top, and a fork or toothpick inserted to the center comes out clean. Hi Loren! I wouldn't call it an exact copycat of "real deal" bread with yeast & bread flour. But I'm so glad you liked my version! Thanks for letting me know!! For #whole30 I would like to remove the honey, and since I plan to serve as garlic bread, not too worried about the loss of sweetness, but wondering what you think? Hi Scott! The honey can definitely be omitted with no problem! It just balances the flavor a bit. does this bread taste like coconut at all? Not at all! It's very savory!